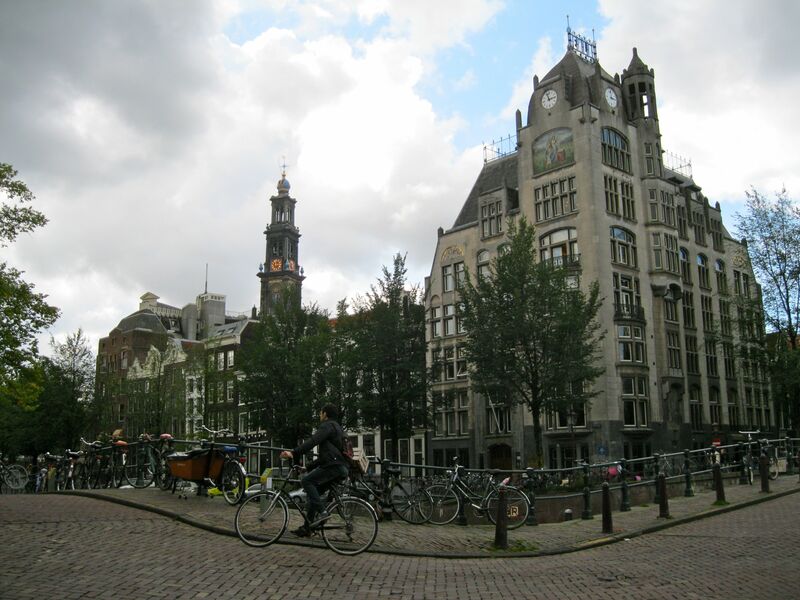 Amsterdam, Two Years In | Where is Yvette? 1) What do you do exactly anyway in astronomy? I am a Ph.D. student in astronomy at the University of Amsterdam, specifically doing radio astronomy with a telescope in the eastern Netherlands called LOFAR (the LOw Frequency ARray). In my group we search for what are called transient radio signals- defined as signals that turn on and turn off in the night sky, instead of being always there- which can be caused by things like a flare from a star or two neutron stars colliding or a bunch of other things. The interesting thing is no one has looked at the frequencies we look at for these sorts of things (we’re searching around the part of the spectrum where the FM radio band is), and whenever astronomers search for things in places they haven’t searched before they always find new things. Or at least that’s what they tell the grant committee. What I do specifically within the group are a few things- I keep an eye on a field where a black hole ate a star a few years back, for example, and we’re hoping to spot the signal when it migrates to our frequencies- but the main one is I create algorithms for Radio Frequency Interference (RFI). Basically humans create a lot of radio signals, from things ranging from baby monitors to radio stations to cars backfiring near your array, and we have too much data to flag this unwanted noise by hand so I’m the one who worries about making it automatic. Of course, bright bursts of radiation from the sky are easily mistaken for bright bursts of radiation from the ground, so this isn’t as easy as it sounds. But hey, they don’t give out doctorates for nothing, right? Really now, this might sound crazy but I never realized it could be so easy to move to another country without speaking the language as it was to move to Amsterdam, as everyone speaks English here. There was literally only one time when I encountered someone who didn’t- a white-haired handyman who came to my apartment so we figured out what he was saying with hand gestures and my rudimentary Dutch. If language acquisition is born of necessity, well you’re never going to find that necessity here so you’re only going to get so far without dedicated class-taking. Now this isn’t to say I don’t speak any Dutch: I did a bit of the Rosetta Stone stuff, and beyond that my train and restaurant vocabulary are excellent because that’s where I’ve really needed to learn it. (Motivation has a name, and it is called “wanting to know how delayed your train is and the platform it’s departing from when they announce it.”) Beyond those parts I have a level where I can tell you what folks are discussing in a bar or read a newspaper article where I look up “only” 10 words on Google Translate- it’s just speaking is very difficult because my Dutch friends get tired of “I have five yellow plates, how many cups do you have?” very quickly when we can discuss things in English. Also by the way, we really don’t discuss the merits of not knowing a language though they exist. I am truly distracted by advertisements and catcalls whenever I visit English-speaking countries these days because, well, I truly don’t notice them in my daily life anymore! It’s great! 3) When you’re done do you think you’ll move back to the US or stay abroad? First thing to note: if this question is asked by a European, it is often just code for “which one do you like better?” This is not really a fair question, as there are things about the US that I like more and things I like about Europe more, but you learn pretty quickly that there’s no separating what you like and what you don’t. In the past two years I have definitely grown to appreciate the history and culture and short distances that define Europe, and appreciate how very lucky I am to see all I have. (I mean, in two years I have been to London four times and to France four times as well. Many people live their lives dreaming of going once.) But curiously enough I have also grown to appreciate things like the wilderness of the American landscape and the genuine friendliness of American people in a way that perhaps you don’t gain until it’s not an everyday thing anymore. Honestly, I don’t think I could say right now that I’ll definitely end up in the US next, or elsewhere in Europe, or even somewhere else altogether, because all countries are filled with very nice places and places I would not consider living in. But what I can tell you is that I lead a life defined by a passion for traveling, for writing, and for science, and following this trifecta has served me very well . So I don’t worry about what I will do post-PhD just yet, as I know what I plan to do (writing! science! travel!) and am just trying to fill in the details on how I will do it. I realize this is an answer that in many traditional ways does not answer much. But I have noticed my life has been far more interesting by keeping a big picture in mind and not planning out the individual details lest that lead you to premature dismissal of truly interesting ideas. So that’s it: two years in and two years to go, in what has been one of the most beautiful adventures of my life so far. 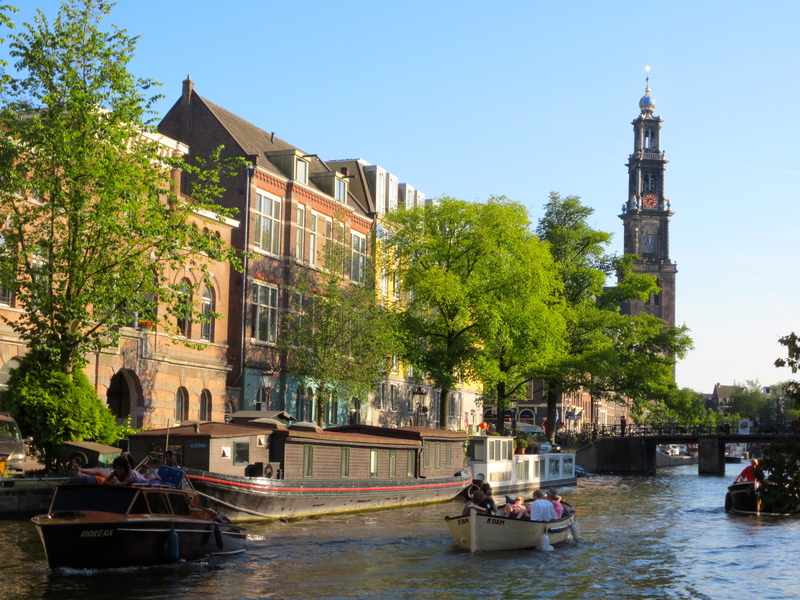 Every day on my way home I look at the canal by my house and take in its beauty, or listen to the peals of the Westerkerk bell tower that serves as an “old friend” to both me and Anne Frank, and I feel lucky that this country adopted me and know I am lucky to be here. And what more do you need in life than that, really? This entry was posted in 0. The Netherlands, Amsterdam, daily life, Science!. Bookmark the permalink.